Gran Canaria has long been a firm favourite with families, thanks to its year round sunshine, impressive beaches and bustling resorts. When holidaying here with the little ones, one thing’s for sure — you won’t be short on things to keep them entertained. Here’s our list of the top ten family activities in Gran Canaria. Suited to the younger kids of 12 years and under, the Angry Birds Activity Park has 25 different activities to choose from — think everything from crazy golf to go karting. The staff are really friendly and nothing is too much trouble. There is a lovely snack bar to refuel in and, if it gets too hot you can cool down under the water sprayers. Top Tip – When you pay your entrance fee, you get a stamp on your hand. This means it is easy to pop in and out of the park all day. We would recommend you getting this when the park opens at the start of the day, so that you are able to make full use of being able to go in and out all day and so therefore getting the most out of your money. With waterslides of all sizes, Aqualand is an amazing waterpark for all ages — tots, teens, adults, you name it. Whether you’re holidaying here in the summer or jetting over for some winter sun, this one stays open all year-round. Daredevils can enjoy rides like Mamut where groups of friends can slide down on a raft together. Whilst little ones will have a great time at their very own mini park — Children’s Paradise. Discovery Beach is the place to be for those who love a wave pool. Or for those just wanting to chill out you can relax in a rubber ring cruising round Pirate’s River. We all know swimming can make us super hungry, but this park has plenty of cafeterias and snack bars to keep you going. Plus there’s plenty of ice cream on offer too! Top Tip – Most kids love waterparks but if there is someone in your party that is not too keen then they may enjoy the mini golf or pool tables that are available here. Just a short walk from Faro 2 shopping centre you’ll find Holiday World – the Maspalomas holiday centre that has it all. Recently closed for renovation, its doors will eagerly reopen this summer 2019, welcoming families back with open arms. There’ll be more than 11,000 square feet of fun, expect rides, karaoke, bowling – the works. When it comes to dining, there’s the NOMAD gastro market opening with more than 200 different dishes to choose from, along with an enormous list of wines, beers and cocktails. The parents can also look forward to its sports bar and casino. Another major family attraction in Maspalamos is Palmitos Park – a zoo and botanical garden combo. Walk through its different zones and come up close and personal with its birds, reptiles and mammals. The park has an aquarium too, home to the spectacular Sea Horses, Clown Fish and more venomous Scorpion Fish. If you’re children are the adventurous type there’s even the opportunity to swim with dolphins. Cowboys and girls dig out your Stetsons for a fun filled day acting out cowboys and Indians at this theme park with a difference. Set out like a real town that is designed in the style of the old Western movies, expect authentic saloons, churches and of course no Western town would be complete without the local county jail. Activities here include horse riding and various performance shows. Get your buckets and spades at the ready for a day of building and playing in the sand. There are sandy beaches all over Gran Canaria but one of the best places for sandcastle building is Las Canteras. What makes this place special is that this is where the sandcastle artists come and build their amazing sand sculptures. So if you’re not all that good at building them, just sit back and watch them instead! Or as this is a city located beach, there’s plenty of shops to keep you occupied too. Take part in a 30-minute ride across the sandy dunes of Maspalomas on the back of a camel – a fantastic, yet unique experience for all the family. There’s a number of tours to choose from, most include food, a visit to a camel park and some even have the opportunity to see some baby camels. Don’t worry if you have babies or very small children with you either, as most infants can travel with their parents if you feel confident enough that they will sit still. Top Tip – If taking a small child or baby, ask for a taster ride so that you know they’ll be OK to embark on a longer trek. If your children like history or are interested in learning a thing or two during the school holidays, there’s Casa De Colon, Columbus House in Las Palmas. One of the first governors of Gran Canaria lived here and Christopher Columbus stayed here in 1492 whilst one of his ships was being repaired. Within each room you’ll also discover exhibitions on Columbus and his visits to the island. Opening hours are Monday to Saturday 10:00am to 6:00pm and Sundays and Public Holidays 10:00am to 3:00pm. It is closed over Christmas and New Year. Something you wouldn’t normally expect to be recommended to do on holiday is a trip to the cinema, however this one comes with a difference – it’s outdoors. Start your experience with a celeb-like walk down the red carpet before settling into comfy double sofas in front of a ginormous screen. Expect to be waited on hand and foot as full waiter service is provided throughout each movie bringing you all the goodies and even cocktails for the parents. So you can spend your evening winding down, enjoying a new film under the stars. Top Tip – Film screenings change often so make sure you check out the Moonlight Cinema Maspalomas website before you go to make sure there’s a family-friendly film on. A favourite with the teenagers, electric bike tours are available within most Gran Canaria resorts. These make a fantastic way to get out and see the island in all of its glory whilst doing a bit of exercise at the same time. Different to a normal bike, the e-bikes ride faster and are suited to all fitness levels. Most tours run from four to six hours covering all major sights. Top Tip – Most companies if not all do provide helmets but double check this as safety comes first. 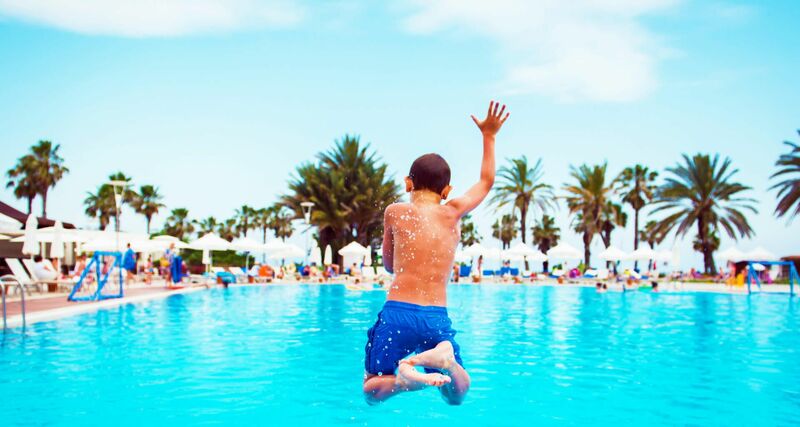 Now that you know there’s plenty to keep you and the kids occupied, have a browse of our latest Gran Canaria deals.